Looking for natural hair care products for your kiddos? It can be hard these days to find brands without sulfates, parabens, phthalates, and other artificial ingredients. You just don’t want those chemicals and ingredients on your kiddo’s head or skin! Rock the Locks has none of that! Remember my review of Piggy Paint, a non-toxic, kid-friendly nail polish brand? They are the ones behind Rock the Locks! Rock the Locks was created by moms who wanted natural hair products that actually work. 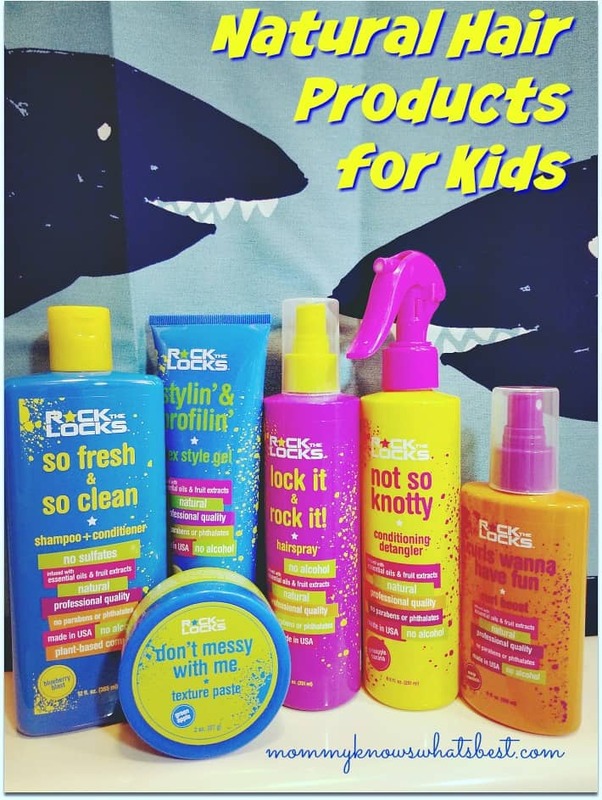 Thanks to Rock the Locks, I was sent their entire natural hair product line to try out with my kiddos! What is in Rock the Locks? The products in this line of natural hair products for kids are infused with essential oils and scented with super fruit extracts. There are no artificial fragrances, alcohol, sulfates, parabens, and phthalates. The quality formulas for these natural hair products are developed and tested by salon professionals, so you know that they work. The brand is cruelty free. Rocks the Locks products are also made in USA, which is a big plus for me. They all smell absolutely AMAZING. 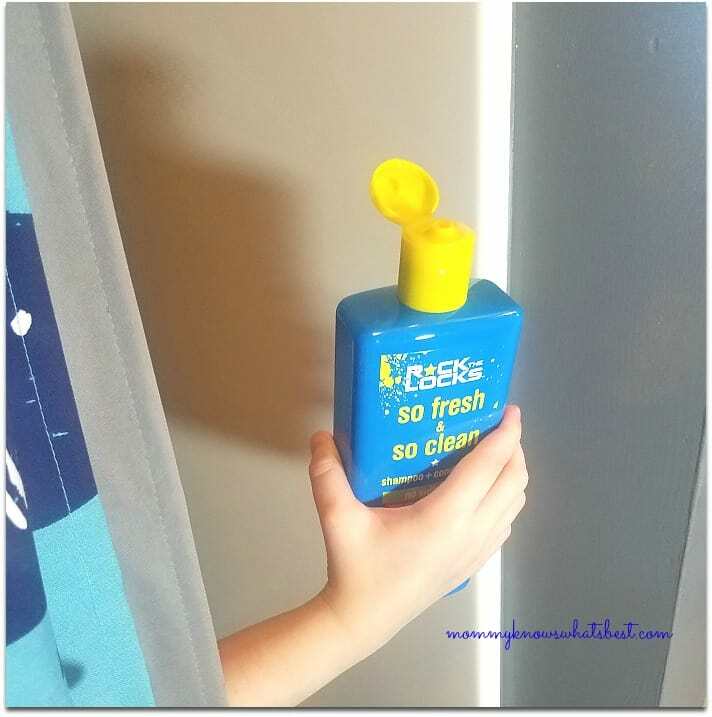 My kiddos love the blueberry scent of the so fresh & so clean shampoo, while I prefer the pineapple orange banana scent of the conditioning detangler. What I really like about these products, besides the lack of chemicals, is that they work with all hair types. 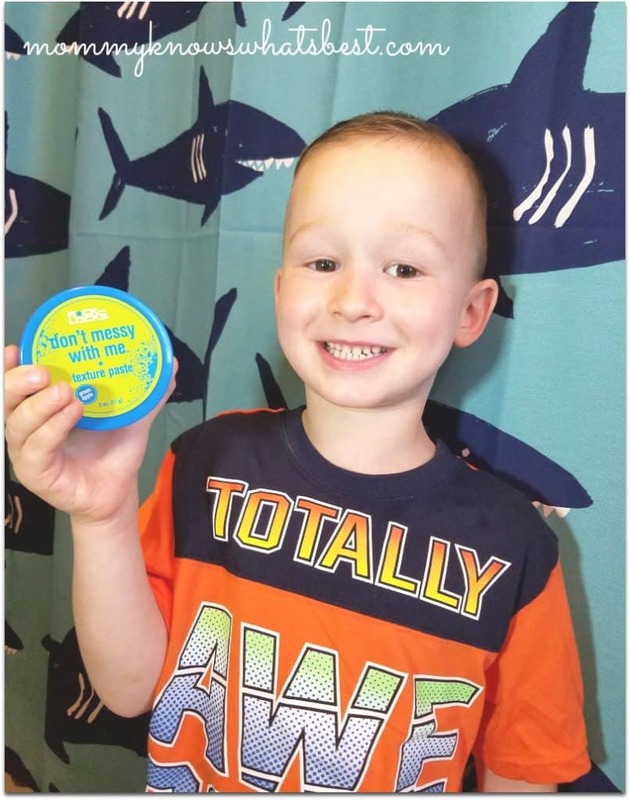 My kiddos have different kinds of hair, but these products don’t weigh their hair down or make it greasy. Tip: Going to the pool or beach? 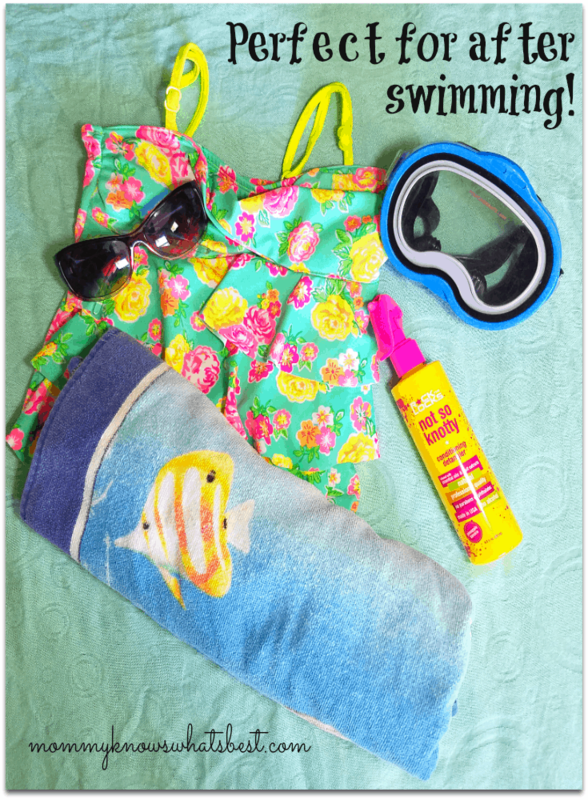 Bring along not so knotty Conditioning Detangler to smooth out hair after swimming! Many thanks to Rock the Locks for sending us these natural hair products to try! Be sure to follow them on Facebook, Twitter, Instagram, and Pinterest! This post contains ads and affiliate links, from which I may earn a commission at no extra cost to you. Thank you! 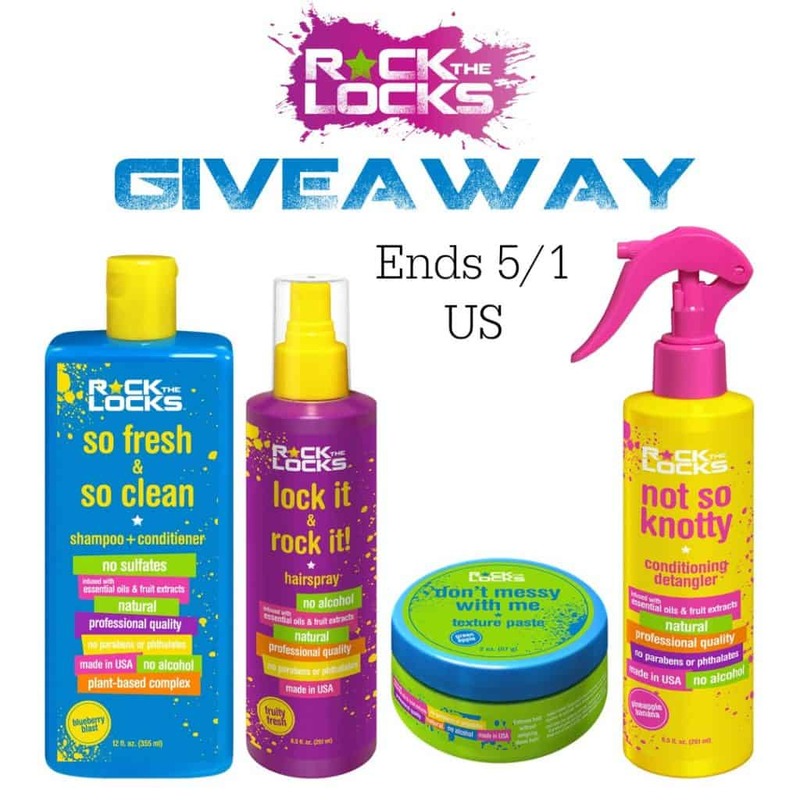 We have partnered with Rock the Locks to give away these amazing kids hair care products to one lucky winner! Find out how to enter on Instagram here! This is amazing! It’s harder than you’d think to find great kid’s products without parabens, etc. It seems like it’s geared more toward women’s products. Thanks for sharing this and thanks for the fantastic giveaway opportunity! These are so nice, I’d like to make up a gift basket for a birthday present along with a few fun things!